You are here: Home / FREEbies / FREE Sandwich At Chick-fil-A! 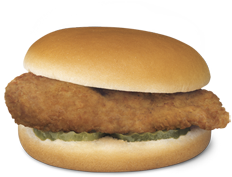 Download the Chick-fil-A app from the Apple iTunes Store or the Google Play Store and create a Sandwich At Chick-fil-A One account. You should get an offer for a FREE sandwich in your account. No purchase necessary. Store Locator. If you have an existing account (e.g. from Cow Calendar Card, Kids Club or Catering), please use that to sign in. Otherwise, you can create a new Chick-fil-A One™ account.